On 15 November 2018, MoD issued a 'letter of request' to the US government for acquisition of 24 naval multi-role MH-60 'Romeo' helicopters. The preliminary "acceptance of necessity" for the MH-60R helicopters and the $1 billion acquisition of the American National Advanced Surface to Air Missile System-II (NASAMS-II), slated for deployment as a missile shield for New Delhi, was accorded by the Defence Minister chaired Defence Acquisitions Council (DAC) just before the inaugural "two-plus-two" dialogue between India and the US on September 6 under the shadow of India's case for a "national security waiver" under CAATSA (Countering America's Adversaries through Sanctions Act), which seeks to prevent countries from buying Russian weapons or Iranian oil. The MH-60 helicopters, produced by Sikorsky-Lockheed Martin, are armed with torpedoes and missiles for anti-submarine warfare. As per media reports, the 13,500 crore government-to-government deal is likely to be signed within one year under the US foreign military sales (FMS) programme. 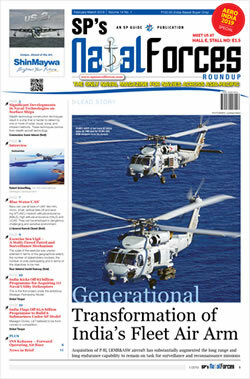 If the deal is signed as scheduled, the Navy may get these heavy duty helicopters in the timeframe 2020-2024 since the FMS route is much faster avoiding the elaborate global tender process, and since their acquisition would in all probability be in fly away condition, akin to the 36 Rafale fighters under procurement. Most of the weapon systems like the C-130J "Super Hercules" transport aircraft, M-777 ultralight howitzers and the C-17 Globemaster-III aircraft for strategic lift have been acquired by India from the US under the FMS programme. Our government must ensure the MH-60 deal is fully transparent in order to avoid the hullabaloo akin to what has happened in case of the Rafale. The first flight of the MH-60R took place in July 2001, and the first 'new' production was approved in 2006 post completion of operational evaluation in mid-2005. The US Navy deployed it onboard an Aegis destroyer first in 2009. The helicopter operates from frigates, destroyers, cruisers, amphibious ships and aircraft carriers, and is suitable for intense littoral warfare operations and for open-water operations. For anti-surface warfare missions, the helicopter can be equipped with a range of weapons including the Lockheed Martin AGM-114 Hellfire anti-surface missiles on the four weapons stations. It can carry up to three ATK Mk50 or Mk46 active / passive lightweight torpedoes. A pintle-mounted 7.62mm machine gun can be fitted for self-defence. 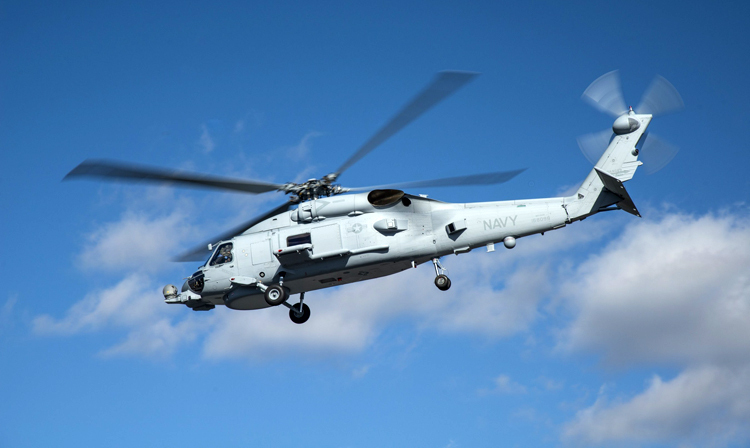 The MH-60R is fitted with a Lockheed Martin AN/ALQ-210 electronic support measures system (ESM). Electronic warfare systems include the ATK AN/AAR-47 missile warner, laser warning system, BAE Systems AN/ALQ-144 infrared jammer and AN/ALE-39 chaff and flare decoy dispenser. It is fitted with the Raytheon AN/AAS-44 detecting/tracking system, which includes a forward-looking infrared (FLIR) and laser rangefinder, and a sonobuoy launcher and a Raytheon AN/AQS-22 advanced airborne low-frequency (ALFS) dipping sonar. The MH-60R has tolerance against small arms fire and medium-calibre high-explosive projectiles. The flight controls have dual-redundancy and ballistically hardened flight controls. The fuel tank is self-sealing. The helicopter can climb at a rate of 8.38 m/second. The maximum and cruise speed of the helicopter are 267km/h and 168km/h respectively, while the range is 834 km. The service ceiling of the helicopter is 3,438 m. The helicopter weighs around 6,895 kg and has a maximum take-off weight of 10,659 kg. Besides, the US Navy, the MH-60R are in operation/under procurement by Qatar, Republic of Korea, Denmark and Saudi Arabia. For the Navy, acquisition of the MH-60R multirole heavy duty helicopters is crucial considering that its present minesweeping capabilities are woefully inadequate. The Navy began the acquisition process for minesweepers 12 years back in 2005, requiring 24 x Mine Counter Measure Vessels (MCMVs) to guard the east and west coasts. But ironically the Navy is presently reduced to six-30 year old minesweepers that are to be decommissioned in end 2018. Given the emerging criticality, their life will probably be extended albeit their reduced operational capability due to their age may be left ambiguous. Acquisition of new multi-role helicopters has been pending for well over a decade, with the Navy identifying them along with submarines and minesweepers as the top three 'critical operational necessities' for it. In terms of helicopters, the Navy only has about a dozen old Sea King and 10 Kamov-28 anti-submarine warfare helicopters. The US has also approved the sale of Predator-B or Sea Guardian drones to India, and talks are on for procurement of 22 x Sea Guardian drones by India. India is also reportedly going for an Indo-Russian collaborative project for indigenous production of Kamov helicopters under 'Make in India'. There are also plans to produce 123 MH-60R helicopters in India, in addition to the 24 planned to be imported quantity 24 in fly away condition under FMS programme. 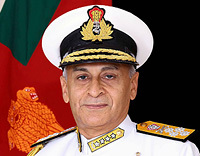 With China advancing its aggressive plans in the Indian Ocean rapidly, there is need to all round ramping up of our naval capabilities notwithstanding the Naval Chief saying we can cope with China, which any Service Chief is duty bound to say. Our anti-submarine warfare capabilities must be enhanced on priority.